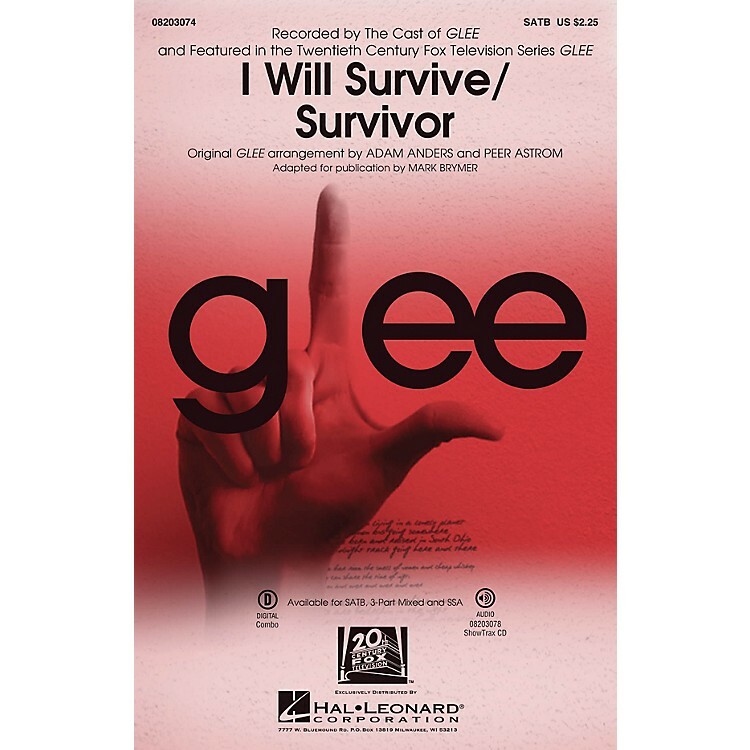 Glee empowers the ladies with this perfect mash-up of two classic survivor anthems, Gloria Gaynor's 70s hit I Will Survive and the 2001 hit by Destiny's Child Survivor. Opening with the Gaynor rubato intro, the arrangement explodes into a disco frenzy that builds to a huge crescendo. Available separately: SATB, 3-Part Mixed, SSA, ShowTrax CD. Combo parts (tpt 1-2, tsx, tbn, bsx, gtr, b, dm) available as a digital download. Duration: ca. 3:20.